Bringing the most Delicious and Exquisite Cuisines on your plate! Food always remains the main reason why people attend events. And we provide the most authentic and reliable food caterers for your birthday party. Whether you prefer Chinese or American or even Indian, we have partnered with the most popular caterers in Delhi to give your taste buds a great experience! We are simply the best Birthday Party Caterers in Delhi. A birthday party requires particular food, based on the theme and choices. We take all those choices into account and provide you with the best options. We hire a team of culinary professionals having rich expertise and experience more than a decade in the catering industry. Whatever the function, whatever the numbers, whatever the timescale, we constantly thrive by exceeding our clients’ expectations in each and every function we serve, with a wide range of delicious food that is affordable, great in value, high in quality and of course great tasting leaving you and your guests delighted. Our primary aim is to provide high class hospitality services to the satisfaction of our clients at reasonable rates. We are constantly innovating new products & improving standards of service based on the valuable feedback provided by a long list of satisfied clients in the National Capital Region & all over India.Our food is made with the finest of ingredients and absolutely without any artificial flavours. It is always delivered on time for your convenience. 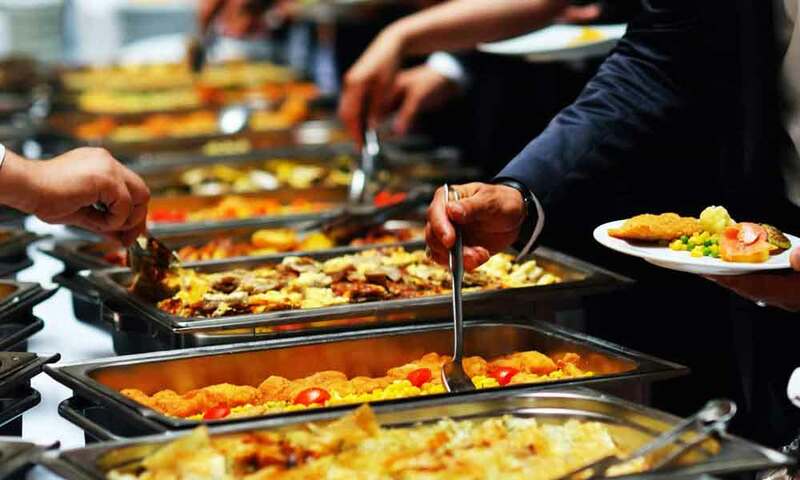 A good catering service will be able to provide you with professional and efficient servers and in turn give you one less thing to worry about. Companies that have been in the event catering business for many years such as us will even be able to go a step further and help you completely visualize your wedding reception. We will work with you to ensure that we have taken your needs into account to create the best catering possible. We can provide birthday catering for functions that are held indoor as well as catering to open ground birthdays. Birthday on Call is a household name in the vent management industry, known for the quality and timeliness of its service. We have catered to hundreds of clients, with phenomenal success. We hope you have a great time at your birthday and devour that amazing food.